GRCI is pleased to announce the development of a full-day program on the ISO standard 19600. Members would be familiar with the structure and outline of the standard, however, drilling down into the detail of the essential elements is not provided within the standard itself. This full day, practical program, is designed to assist you in exploring in-depth the key aspects of a compliance framework that will add value and ensure success. We invite you to spend the time workshopping these detailed elements, to be able to take your insights immediately back to your organisation and implement with impact. How do you best use it to obtain this benefit and embed throughout your organisation. Learn how your compliance framework improves the culture and performance of your organisation. This one day course is designed to help you flesh out the deeper requirements of building a compliance framework in order to make it successful, using the ISO 19600 standard. The day will be spent exploring the nuances and detail outlined at a higher level in the standard: the tough detail that may actually make your program meaningful and effective. GRCI’s facilitator for this program will also contribute, from his extensive experience, to facilitating active discussions to enable you to take back insights for you to implement in your own workplaces. Understand the organisation and its context to define the scope of your obligations. Establish and manage an obligations register and use it as a living tool in your compliance framework. Connect and enable the compliance framework to contribute to the organisation’s strategy. Build responsibilities, as appropriate, throughout the organisation. Build your organisation’s compliance leadership and commitment from the board down. Assess, evaluate priorities and plan actions to address compliance risks. Provide support and effective ongoing training for staff to be able to fulfil their compliance responsibilities. Build the elusive ‘compliance culture’ in your organisation. Review and continually improve your program. 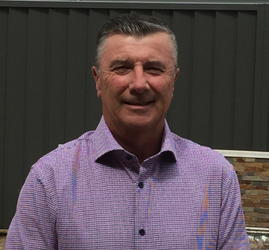 Bob has in excess of 40 years’ experience in various aspects of the Financial Services industry, the last 25 years as a compliance and risk management specialist, formerly with the Commonwealth Bank, Insurance Australia Group (NRMA) , MBF and Bupa. More recently, that experience has extended to the Private Health Insurance industry. As Director, Risk and Compliance for Bupa International his risk and compliance responsibilities extended to China, HK, Thailand, Saudi Arabia, India, Poland and Boston USA. Bob was formally a Director & Treasurer of the Governance Risk and Compliance Institute (GRCI) and is currently a Panel member of the Financial Ombudsman Service. Bob has held a number of directorships over the last ten years and has been the Chairman of a number of Compliance Committees. Bob holds a number of academic qualifications and is a CCP (Fellow) of GRC, a Fellow of the Institute of Public Accountants (IPA), a member and graduate of the Australian Institute of Company Directors (AICD) and holds an Actuarial Certificate in Private Health Insurance issued by the Institute of Actuaries of Australia (IAA).